From storage tricks to décor ideas, here’s how to squeeze all you need out of your kitchen, however little it is. burlanes hand crafted, custom built drawers are featured in this 'must read' article on Houzz. Deep drawers aren’t always used to their full capacity. 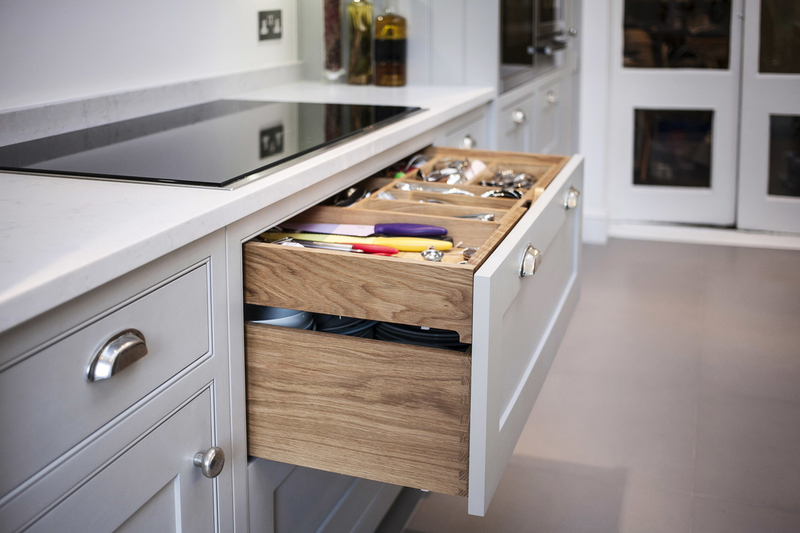 This nifty idea from burlanes– a slide-across top layer for cutlery and smaller cooking utensils – makes sure no inch goes unused.